The house of Donna Karan is launching a new fragrance named PureDKNY, which tries to connect people and nature they life in. The perfume offers pure moments of enjoyment and relaxation. The perfume focuses on a single ingredient, which is the key to the whole composition â€“ Ugandan vanilla. The project around this fragrance was designed and triggered in cooperation with CARE, which sources this unique, creamy sort of vanilla. The company's CEO stated:â€œCARE is excited to partner with PureDKNY on an initiative that will support women in Uganda, while also educating U.S. consumers about the important role women play in breaking the cycle of global povertyâ€�. The project with DKNY is the latest achievement of the company and it will enable Ugandan women to work, educate and provide for their families. The fragrance opens with Ugandan vanilla, dewdrop floral petals, lotus and Bulgarian rose. A heart beats in rhythm of exotic flowers - jasmine, freesia and orchid, while a base finishes the pure composition with white amber, sandalwood and vanilla in water. An interesting fact is that package of PureDKNY is also environmentally-friendly. The glass of its flacon is 100 percent recyclable; its outer carton is made of carton and paper which decompose easily. You will be able to purchase the fragrance in three sizes: 30, 50 and 100 ml EDP, along with gentle body butter. Advertising campaign will be very wide-reaching and pricy and its cover face will be Angela Lindvall appearing on billboards and videos of the perfume. 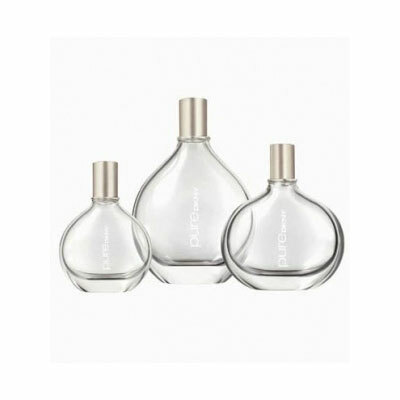 Pure DKNY was launched in 2010.